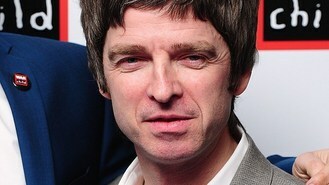 Noel Gallagher has said he has enough new material for three new albums but can not be bothered to record them. The former Oasis star, who said he was spending most of his time "sitting around being bone idle", said: "I write all the time, I don't write for any specific project, I write because it's my hobby. "I'm not really in the process of writing an album, I've got enough material for about three records anyway so it's just a case of when I want to do it, when I can be bothered. "The way it is, I think it's enough for people's little brains to deal with one album at a time let alone three." Noel recently took over the organisation of the Teenage Cancer Trust concerts at the Royal Albert Hall and said: "It's a lot of phone calls and a lot of conversations that don't amount to much in the end but it's all right, it's nice to help out." The singer-songwriter released his first album after quitting Oasis in 2011 when Noel Gallagher's High Flying Birds topped the charts in the UK and eventually outsold the debut by brother Liam's new band Beady Eye. Tributes have been paid to "the fastest guitarist in the west", Alvin Lee, who has died aged 68. Celine Dion has recalled how she was forced to go on stage barefoot on her opening night at the The Colosseum, because she had lost a shoe. Jazz trumpeter Kenny Ball died in hospital this morning where he was being treated for pneumonia, his manager has said. Rizzle Kicks could be heading to Hollywood after the music duo admitted they were thinking of making a film and have roped in Plan B to help out. Justin Bieber has insisted "I'm a good person" and told his critics "be careful of the judgment you pass". Bonnie Tyler will represent the United Kingdom at this year's Eurovision competition. Russell Brand said he had put together the "perfect bill" for his anti-addiction concert with acts including Noel Gallagher, Rizzle Kicks, and Nicole Scherzinger. Kelly Clarkson is set to perform at this year's Academy of Country Music Awards in the US. A new album of Jimi Hendrix's unreleased studio material has been unveiled - but it is likely to be the last one.